Selong Belanak on Lombok's southwest coast ranks as one of TripAdvsior's best beaches in Asia. 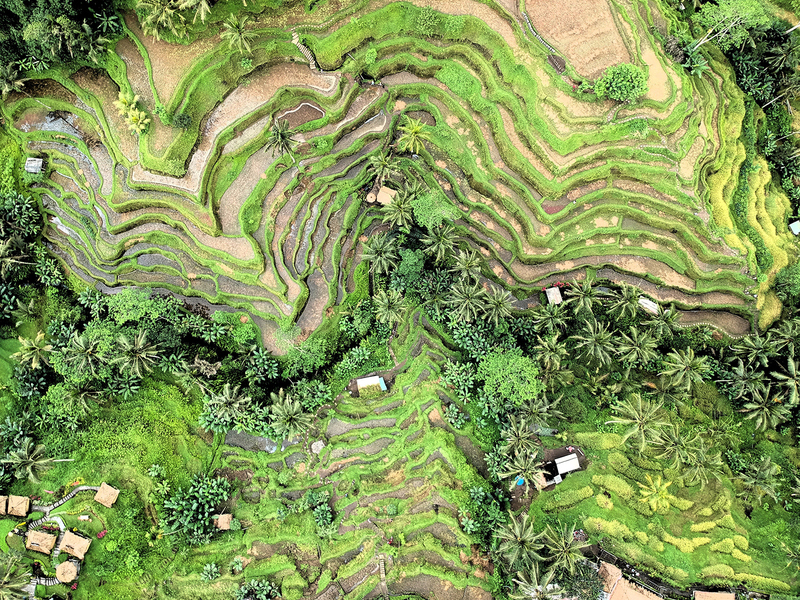 Terraced rice fields around Ubud are a World Heritage site. 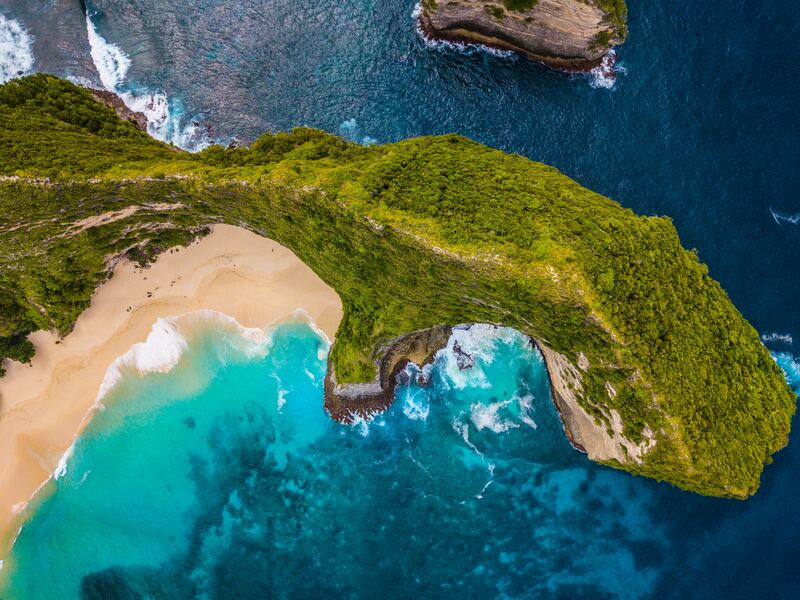 Kelingking Beach in Nusa Penida ranked as #2 best beach in Asia and #17 in the world. TripAdvisor's Travelers Awards are measured by the year-over-year increase in positive TripAdvisor traveler review ratings over the last 12-months for accommodations, restaurants and attractions, as well as an increase in search and booking interest. This year's results rank Bali as Asia's #1 destination, describing it as "a living postcard, an Indonesian paradise that feels like a fantasy." Thailand's Phuket and Cambodia's Siem Reap were ranked #2 and #3 respectively, while close neighbour Singapore was ranked #19, all of which is good news for Bali's tourism and property industries. On a global scale Bali ranked as the fifth most popular holiday spot in the world behind London, Paris, Rome and Crete. Lombok is also gaining recognition as a preferred holiday destination, ranking #23 ahead of Japan's Osaka and The Philippines' Cebu. In addition to being ranked as Asia's #1 destination, Bali also received accolades in other categories. The Mandapa, a Ritz-Carlton Reserve in Ubud, was ranked #6 for Asia's best hotels while Bali and Lombok had four in the top 25 of Asia's best beaches. Kelingking Beach in Nusa Penida was ranked highest at #2 in Asia (and #17 in the world,) while Nusa Dua Beach was ranked #15 in Asia, Pandawa Beach on Bali's Bukit Peninsula was #21 and Selong Belanak on Lombok's southwest coast #24.